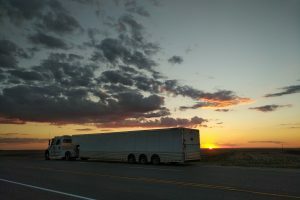 Striving to provide safe, clean, and reliable enclosed transport service for collectible, sports or specialty vehicles. 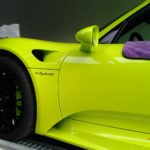 Our skilled drivers provide hands on service to the industry, which is based upon years of experience handling specialty, exotic and classic vehicles. Without hesitation, our team looks forward to providing the quality of service you expect while handling your vehicle. Providing quick turn around specialty service within the Western Canadian provinces, the heart of Canada. Due to our regional services, this allows us to meet our clients schedules and our equipment utilized efficiently. As a result, the final costs are kept as low as possible for every client. Above all, servicing each & every client with their unique transportation requirements is the #1 goal. 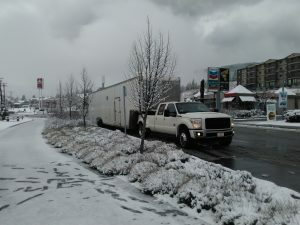 Ready to have your vehicle moved? You can now directly book enclosed transport online! We are happy to be providing year-round, enclosed transportation services. Clients needs may be servicing and repairs, corporate relocation or even their dream car purchases! Now you can sit back, relax and trust your vehicle is in safe hands. Check out our Gallery to browse some of our clients unique vehicles within our care. Likewise, you can follow us on Facebook, Instagram & Google+ as our equipment and drivers travel around Western Canada! Certainly check the Frequently Asked Questions page to help get some of the most common questions answered. We have compiled these together with the aim of ensuring that vehicles are delivered to the destination easily, quickly and safely. Our goal is to offer customers piece of mind with trusted, door to door enclosed auto transport for their vehicle. Please get in touch! Without hesitation, a member of our team is always happy to answer any remaining questions and concerns. Turbo J Locally Owned & Operated in Western Canada. 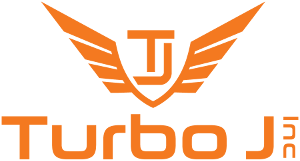 Turbo J is an Owner-Operated, enclosed vehicle transportation service in Western Canada. Striving to provide clean, quality, enclosed auto transport service throughout Canada. Including but not limited to; British Columbia (BC), Alberta (AB), Saskatchewan (SK) and Manitoba (MB). Without hesitation, please contact us for assistance with your specific transportation requirements today! Enclosed Vehicle Transport Serving Alberta (Calgary, Banff, Canmore, Jasper, Okotoks, DeWinton, Lethbridge, Carstairs, Medicine Hat, Red Deer, Edmonton, Lloydminster, Fort McMurray & more), British Columbia (Vancouver, Richmond, Surrey, Vernon, Kelowna, Chilliwack, Golden & more), Saskatchewan (Regina, Saskatoon, Lloydminster and more) and Manitoba (Winnipeg, Brandon, Portage la Prairie & more).
.: Turbo J Inc, © 2019 :.